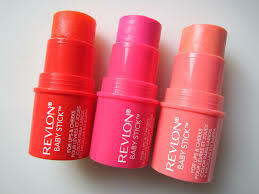 Y'all know I have a mad obsession with cream blush, and lately I have been really loving the quality Revlon has been bringing to the table. Their glosses and their just bitten lipsticks are to die for! I was stalking my neighborhood Walgreens for these cheek and lip tints, only to be completely let down by them. NO pigment whatsoever! It's like trying to use cherry chapstick as blush. just the merest hint at color. Don't waste your money on these; mine are headed back to the store!